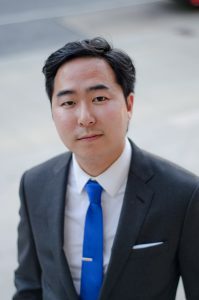 Rep. Andy Kim, a child of immigrants and former community organizer, White House National Security Official, Diplomat and Rhodes Scholar, represents the South New Jersey congressional district where he was raised. Andy won this seat by just 4000 votes and defeated Republican Rep. Tom MacArthur, who wrote the amendment to the American Health Care Act that sought to repeal and replace the Affordable Care Act. Kim made history in 2018 when he became the first Korean American Democratic member of Congress. Andy serves on the House Armed Services and Small Business Committees.